At 39 weeks, you’ve probably reached the height of anxiety waiting for your baby. Given that you are getting mentally prepared for your baby, you are most likely feeling uncomfortable and impatient and may be a little freaked out about your delivery especially if you’re going to be a first time mom. 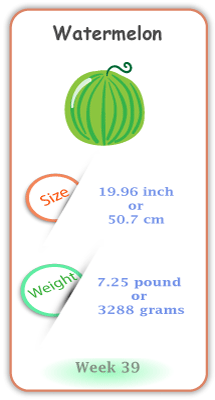 Your baby is fully developed when you’re 39 weeks pregnant, and is similar in size to a winter melon Even though he/she is fully developed, they will continue to plump up until they enter the real world. 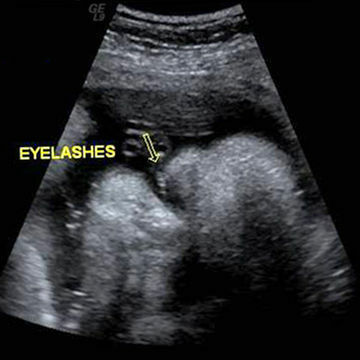 The symptoms you experience in most cases are, early labor symptoms. Take note that these early signs of labor can be confused for the same symptoms. You’ve been experiencing in the last few weeks of your pregnancy. Without further ado, here are the common symptoms you may experience in week 39. This is mainly caused by the fact that your baby is now moved a further down in your body to get ready for the right position of birth. You may regularly feel cramping or tightening of your uterus, which can be easily confused for labor pains. But these pains are temporary and you generally get some relief by switching positions. Given your baby has moved down so low, he or she is bound to hit some sensitive nerves resulting in lightning type sensations in your pelvis. Some moms clam that when their between 37 – 39 weeks pregnant, they feel the strong urge to do stuff such as clean out closets and mop floors. This is when your body releases mucus like thick discharge that can sometimes have a tinge of blood in it. This is generally a good sign that you’ll go into labor soon, so pay attention to it. At 39 weeks, you should be looking out for the early signs of labor. It is important if you haven’t already, to educate yourself on what they are. It may be a good idea to start timing your contractions if you find your belly tightening and constantly for some time. The time this phase lasts varies across women hence it is important to keep your OB in the loop. You may not always have a huge gush of water, but a small trickle could also mean your water is broken. If the discharge is thin and watery rather than what it was in the previous weeks of pregnancy, it is sign that you’ll go into labor very soon. Even though this is not a proven way to induce pregnancy, many going-to-be moms claim it works hence worth the mention. What is ancient practice is proven to do is regulate blood flow resulting in regulated blood flow that stimulates your cervix to dilate. Short and long walks are a great and medically proven way to help induce labor owing to the fact that the pressure triggers the dilating process of the cervix. There may be times where your OB may recommend a medical induction for one or more reasons. Including pregnancy complications such as gestational diabetes, preeclampsia, heart condition, uterus infection or placenta problems. 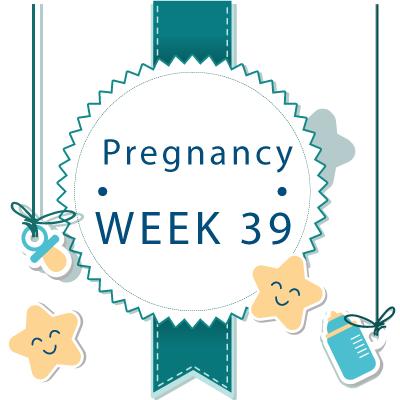 39th Week Pregnant Ultrasound - What to Expect ? At 39 weeks pregnant, your doctor might conduct a biophysical profile, which is a combination of an ultrasound and non-stress test to assess your baby’s wellbeing. This test is especially done if you’re pregnant with twins, and if all good, your OB may recommend an early delivery. When you’re 39 weeks pregnant, your little munchkin weighs roughly 7.25 lbs and measures 19.96 inches. Your baby’s position in most cases is their head facing down, and if so is ready to set foot in the real world. However, some babies prefer the heads up position medically termed as breech, which does pose some health risks and usually requires a C-Section.